In response to the growing demand for eco-friendly packaging options, MingFeng have adopted a new bamboo-plastic composite material in the creation of their packaging products. This material is biodegradable, therefore avoiding environmental pollution, as well as reducing the strain on wood resources since bamboo is such a fast-growing plant. The ingenious design of this wine rack combines packaging with an elegant display function, utilising a simple but stable structure. Due to the traditional Chinese mortise and tenon joint structure incorporated into its design, the packaging can easily be disassembled into a display rack using no more than a magnet. This design blends simplicity with originality and practicality, and offers three packaging options in just one product. 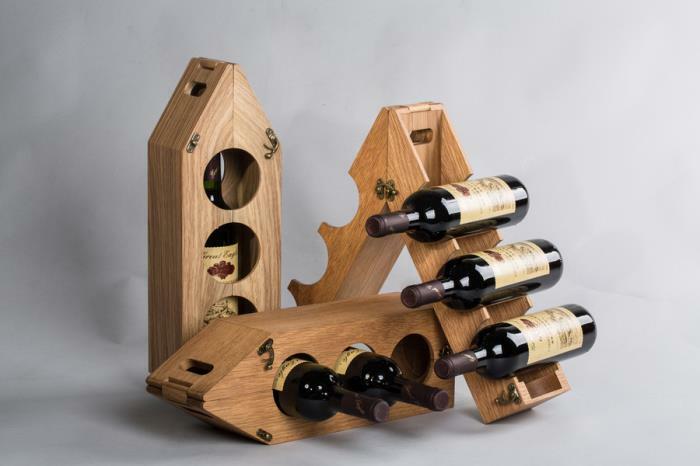 Customers have the choice to display one, three or six bottles in a unique and stylish way. As young buyers now search for innovation and originality, spirit and wine companies are demonstrating how, with just a burst of colour, twist on tradition, and material enhancements, brands are able to transcend the parameters of the mass-market and launch themselves into the luxurious. MingFeng is no exception to the rule, stepping up to the challenge of fabulous design, and boasting the hallmark of luxury packaging. MingFeng’s latest customization project - FOCUS watch box - is meticulously crafted and designed, mimicking a camera lens. With a fantastic visual impact, the FOCUS watch box provides the perfect packaging to protect watches. Ming Feng Packaging introduces an eco-friendly, luxurious bamboo-plastic composite for durable and premium packaging solutions in the cosmetic and beverage industries.